Oh boy, I really liked hows this one came out. It was actually better than I thought it would be. 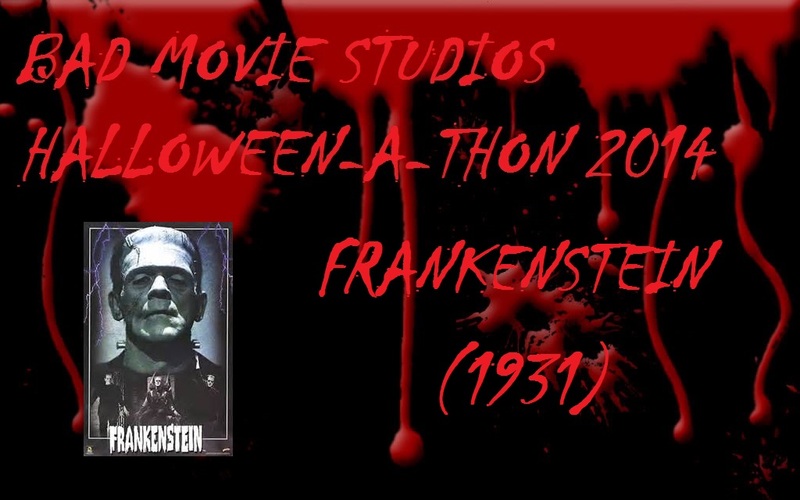 There aren’t too too many videos left in Halloween-A-Thon until we get to the climax, but rest assured there’s going to be some fun stuff before it’s all said and done. So here’s the YOUTUBE link for the video. If you want something more reliable, or just somewhere to see more stuff, check out the FACEBOOK page. Enjoy, and thanks for watching! When it comes to the Universal Monsters, right up with Dracula and the Frankenstein Monster, you have the Wolf Man. He’s an iconic character and the 1941 film starring Lon Chaney Jr (real name Creighton Tull Chaney) is probably the most famous werewolf movie to date, being the one most people think of when you mention werewolves. At least civilized people, you know, not Twilight fans. Anyway, this movie was the one that made Lon Chaney Jr. a star in the genre and features a few other Universal Monster regulars like Claude Rains and even Bela Lugosi. In fact, a lot of people don’t even know that Lugosi is in the picture even though his name is on the poster. Now Lon Chaney Jr. is also famous for being many different monsters in Universal’s classic films, also appearing as the mummy Kharis three times, The Frankenstein Monster in The Ghost of Frankenstein (1948) and the Wolf Man five times in total (including the original). Interesting enough, he isn’t the only famous horror actor in his family. His father Lon Chaney Sr. was a star in the silent era playing the title characters in The Hunchback of Notre Dame (1923) and The Phantom of the Opera (1925). So you could say that Horror was in his blood. Lon Chaney Jr. was in a lot of ways, the horror icon of the 40’s. I can’t think of anyone who made more of an impact to the film genre at the time than him. The opening credits to the film are interesting. They basically give a rundown of the major actors in the film, showing stills and short clips from later on in the movie. It by no means sets the tone like Dracula’s (1931) opening did. But it is short and that’s good. The basic sum-ups of the plot is that Larry Talbot (Lon Chaney Jr.) returns to his family home after the death of his brother. He meets with his father Sir John Talbot (Claude Rains) whom he has an estranged relationship with. Eventually he ends up meeting the films female lead Gwen Conliffe, played here by Evelyn Ankers, and the two fall in love. Gwen owns an antique shop, and later Larry ends up saving her friend Jenny from a wolf attack with a silver headed cane that he buys from her, but he gets bit by the wolf during his heroic deed. He gets told by a Gypsy fortuneteller that what bit him as actually a werewolf, and not only that but that the werewolf that bit him was actually her son (Bela Lugosi, the character’s name is Bela too by the way). She tells him that he too will change into a werewolf. As a side note, whenever someone talks about werewolves in this movie, different keep reciting the same poem, one which explains the lore of the creature. Well, eventually Larry does become a werewolf and he begins to hunt the villagers. This goes on, with him having an incredibly hard time dealing with his problem, until his father intervenes when Larry tries to attack Gwen. Hopefully that doesn’t spoil the whole movie for you, and it shouldn’t, there’s more to it than that. Lon Chaney comes across as a fairly blue collar every man. A stark difference to Claude Rains. He actually seems like someone with a lot of money, and does a good job with the role. Something that does big me is that Chaney doesn’t seem like he’d be Rains’ son. They come off as long lost buddies maybe, but not father and son. That doesn’t hinder the actors performances though, even Chaney’s character being an educated but simple man is done well, with some decent subtleties that actually make him seem like a “wolf” well before he gets bitten. Bela Lugosi does a good job as well, even though his role is pretty small. It shows his acting ability, being such a big change from the role that got him famous in the states, Dracula. As a side note, something that I find weird is that even though the movie takes place in Wales, there are more than a few people that don’t speak with a Welsh accent, or really any accent from the region in general. It isn’t really a big deal nor does it take away from the film as a whole, it’s just something I noticed. The sets are great, showing how far Universal had come with their productions since Dracula. I know I keep referencing Dracula, but to me it’s pretty much THE classic Universal Monster movie. It isn’t my favorite, but it’s still the measuring stick in my opinion. In short, I’m saying that you need to get used to me talking about Dracula. Anyway, I really like the sets that take place in the dark marsh area where the Gypsys live. The lighting is cool, shadowing the different actors in pools of black, but allowing you to see their silhouette outlined against the background. Also the heavy fog is another nice touch, making it seem like a gloomy and foreboding place. Something else I feel is worth noting, is that for the most part the movie kind of plays more towards the idea that Larry Talbot has Lycanthropy. Lycanthropy is a form of hysteria in which one believes they will turn into a werewolf essentially. Basically it plays out like a mental thriller. The whole movie, there is a lot of talk about wolves (considering the shortness of the film) and there is plenty of wolf imagery and talk about superstition. So it kind of makes it seem like Talbot is possibly going crazy over this werewolf situation after the attack on Jenny. It isn’t solidly founded, but it would have been an interesting way to have taken the movie and the film could have pulled it off if it wanted to. Of course though, that goes all out the window about 40 minutes into the movie when Lon Chaney Jr. actually turns into a werewolf. Not that it’s a bad thing, I just feel I should point out that the movie doesn’t lock itself into either idea until the third act. There’s no way I can talk about a werewolf movie, especially the most famous one of all, without talking about the transformation scene. Well, to be honest, The Wolf Man doesn’t really have one. All we see is some hair growing on Larry’s legs and then we cut to him already transformed all the way, walking around that cool foggy scenery I talked about earlier. I’ve got to tell you though, I’m glad special effects have advanced since then. Because the cross fade effect they used here and would later use for when the Wolf Man transforms in other films, is kind of dull in my opinion. It doesn’t look like a wolf transformation, it just looks like a series of short stills taken of the actors face while they applied the make up. And guess what? That’s pretty much exactly how they did it. They applied the make up and stuff and filmed Lon Chaney Jr. in the process to create the scenes of him turning into the monster. The guy who designed the look of the creature and did the make up was Jack Pierce. He also worked on Dracula and Frankenstein (1931). Anyway, I’m a sucker for a good transformation scene that uses a lot of cool practical effects, so my cup of tea wouldn’t come until later, probably the most famous one being the scene in An American Werewolf in London (1981). that film even won an Academy Award for the effects in that scene. Overall, The Wolf Man is a decent film, and I would consider it a must see for fans of werewolf movies. But that really only stands on it’s sheer importance to the sub-genre. As a whole, it’s understandably a classic, but I wouldn’t say it’s a must see film. And that goes for if you’re a horror fan as well. Personally, I didn’t hate this film, but I didn’t enjoy it. Thankfully it’s only just over an hour long so it doesn’t keep you there feeling bored and waiting for the end. Final thoughts – I really think that werewolf films got better as time went on. 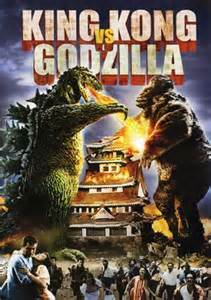 The inclusion of gore later on and the increasing ability of special effects. These movies just seem to get better the better the effects got. It seems kind of hard for a werewolf movie to be character driven and rely on atmosphere and pacing. I’m not saying it’s impossible, it just seems difficult. That being said, I think that really applies to the “traditional” werewolf movie. I think a film that was about the mental syndrome Lycanthropy would probably be best if it embarrassed those story driven qualities. Same for a film that was about, say, Wendigo Psychosis (where one believes they must eat human flesh to survive, named after the Native American myth). With the idea that werewolf movies have gotten better over time, the next film I’m gonna look at is the 2010 remake to this Universal classic, The Wolfman starring Benicio Del Torro and Anthony Hopkins.